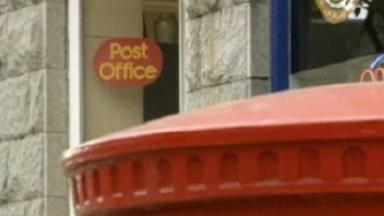 Members of the Communication Workers Union say leaving the UK is 'the only way forward for workers in Scotland'. 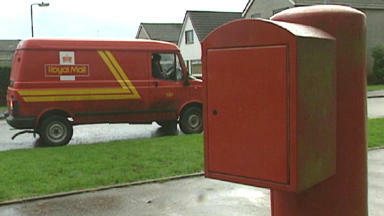 Postal workers have pledged to play an active role in the campaign for Scotland to become independent. Members of Scotland No 2 branch of the Communication Workers Union backed a motion stating that leaving the UK is "the only way forward for workers in Scotland". The branch, which pledged to work to secure a Yes vote in next year's independence referendum, includes postal workers in Edinburgh, Lothians, Fife, Falkirk and Stirling. Pro-independence group Yes Scotland welcomed the vote which took place at the branch's annual general meeting on Sunday. Communications director Shirley-Anne Somerville said: "The vast majority of what trade unionists want, to help make Scotland a fairer country, cannot be delivered under the current constitutional arrangement." The motion passed by the branch highlighted that the gap between the rich and poor has increased, leaving the UK as "one of the most unequal societies in the developed nations of the world". It also pointed out that "round after round of anti-trade union legislation" introduced by Conservative governments in the 1980s and 1090s have not been reversed by either Tony Blair or Gordon Brown's Labour administrations. "To this end we believe that the only way forward for workers in Scotland is to ensure a Yes vote in the referendum and we agree to do all in our power to secure such an outcome," the motion said.